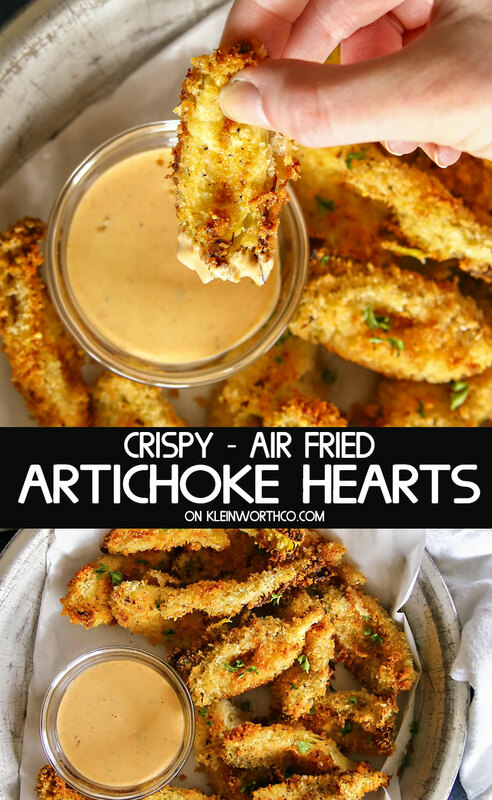 Crispy Air Fried Artichoke Hearts are a simple & easy appetizer. 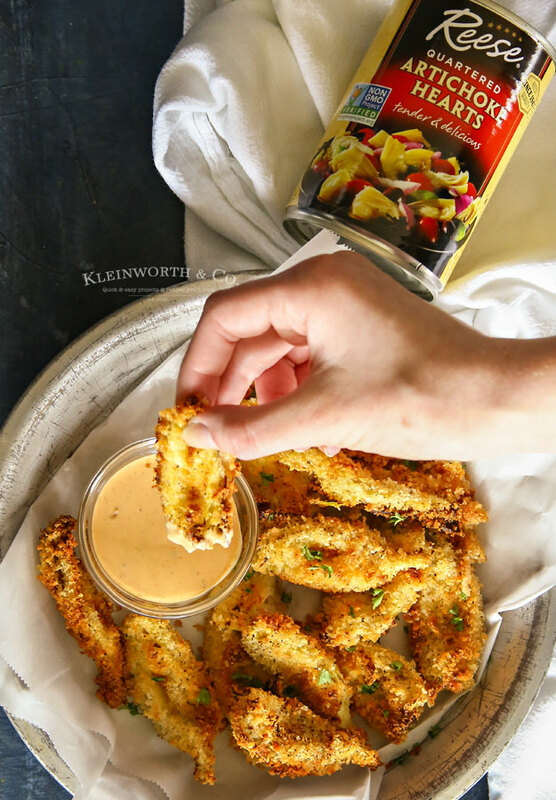 These delicious panko coated artichoke hearts are the hit of every party. Perfect for backyard BBQ’s & every holiday. Do you love artichoke hearts? Our family sure does & they are always looking for a reason to add them to every occasion they can. 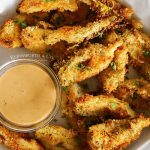 When planning our holiday gatherings this summer we thought using our air fryer to whip up some Crispy Air Fried Artichoke Hearts was a great idea. They really are the perfect bite sized snack & everyone loves them. I started with these Reese Quartered Artichokes. 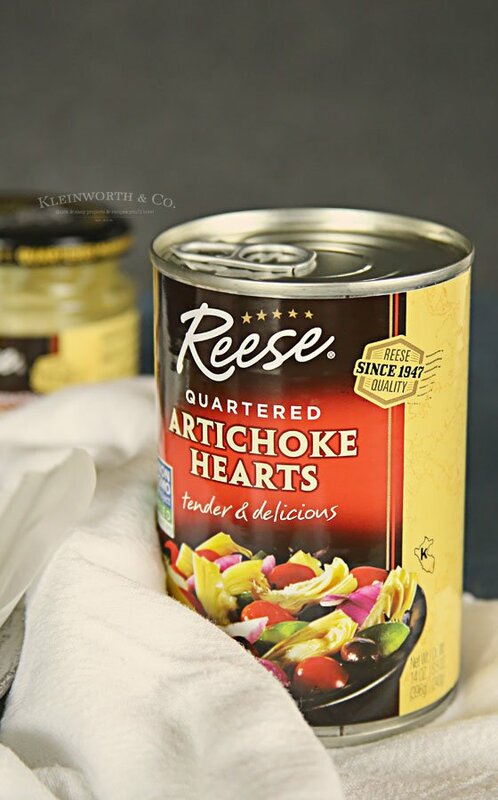 You can also use Reese Quartered Marinated Artichokes if you like. They are incredibly versatile & so flavorful. We love that they are Non-GMO Project Verified. That is really important to me when serving up delicious food for our friends & family. We love that they make it so easy to step outside the comfort food zone & make something that everyone raves over. The recipe is really quite simple to make. 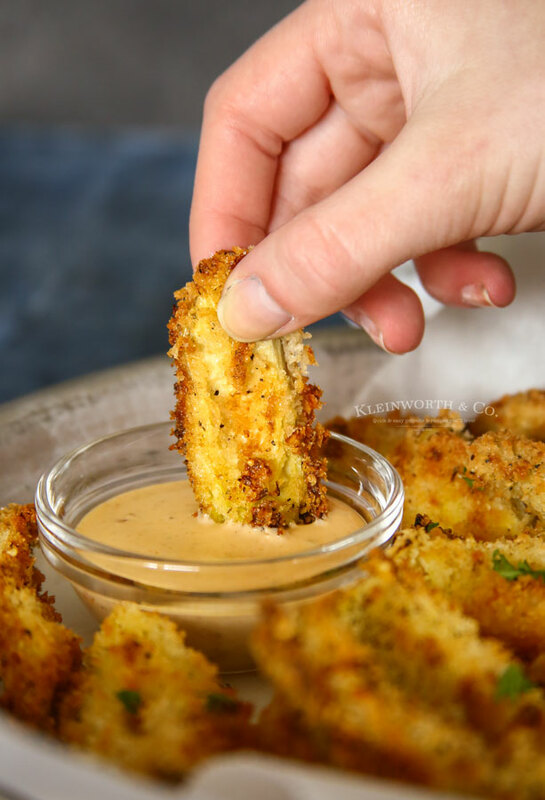 We tossed the artichokes in a little mayonnaise to give the panko a little something to hold onto. Then we dredged them in the bowl of panko, sprinkled with a little bit of parmesan cheese & salt & pepper & placed them in the air fryer. It was incredibly quick & easy, which is great because we were making batch after batch to keep our crowd happy. What if I can’t find panko? You can substitute with breadcrumbs if you like. It just won’t be quite as crunchy. You can often find panko right next to the breadcrumbs. We have also use crushed crackers or chips that gives a nice crunch. What sort of dipping sauce do you recommend? 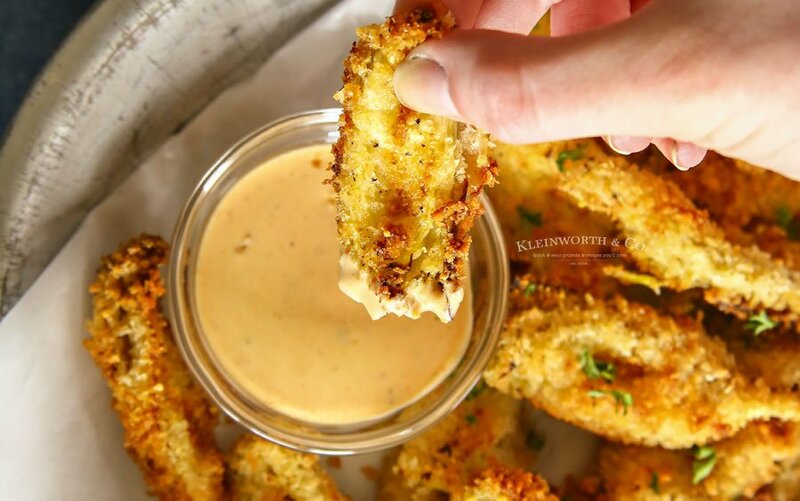 These would be fabulous dipped in a little mayonnaise, mustard sauce, ranch, fry sauce or even some marinara. Although they don’t need anything really, we love them just as they are. Can I use an egg wash instead of mayonnaise? Yes, but the panko might have a harder time staying in place & the egg will most likely drip in your air fryer initially before it starts cooking. Unless you have the skillet/tray attachment for your fryer & you are using the basket, I would stick to the mayonnaise. We hope you enjoy these at your next gathering! You got this! 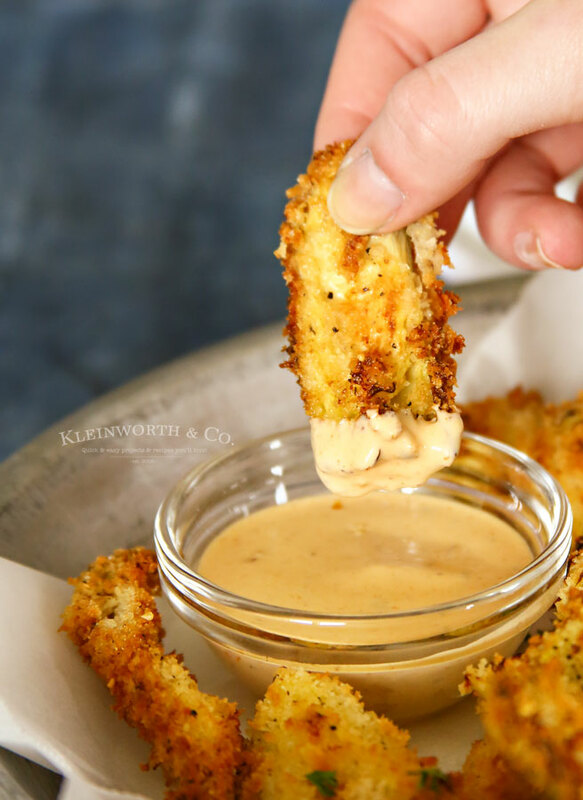 Crispy Air Fried Artichoke Hearts are a simple & easy appetizer. 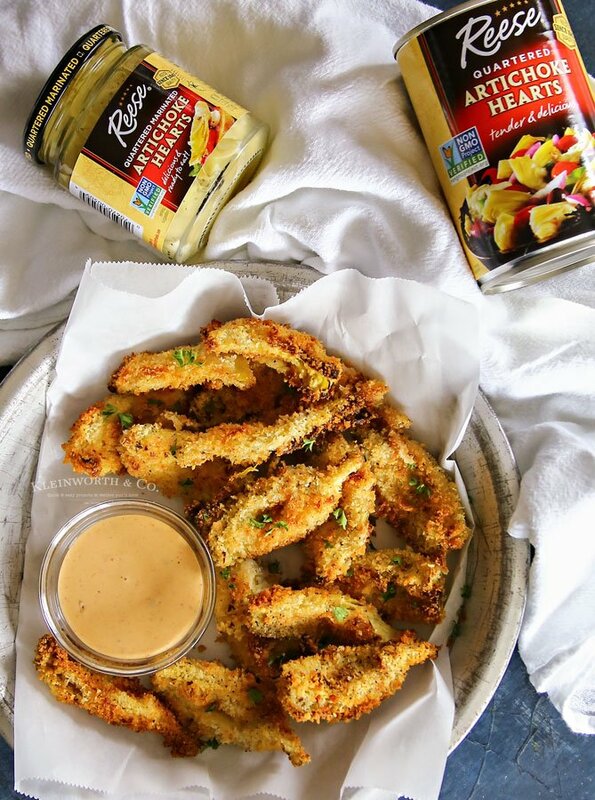 These delicious panko coated artichoke hearts are the hit of every party. Perfect for backyard BBQ's & every holiday. Transfer to a plate & place between layers of paper towels & pat dry. In a small bowl add mayonnaise, salt & pepper - gently toss to coat. Place the Panko in a zip-top bag & add the coated artichokes, shake until well coated. 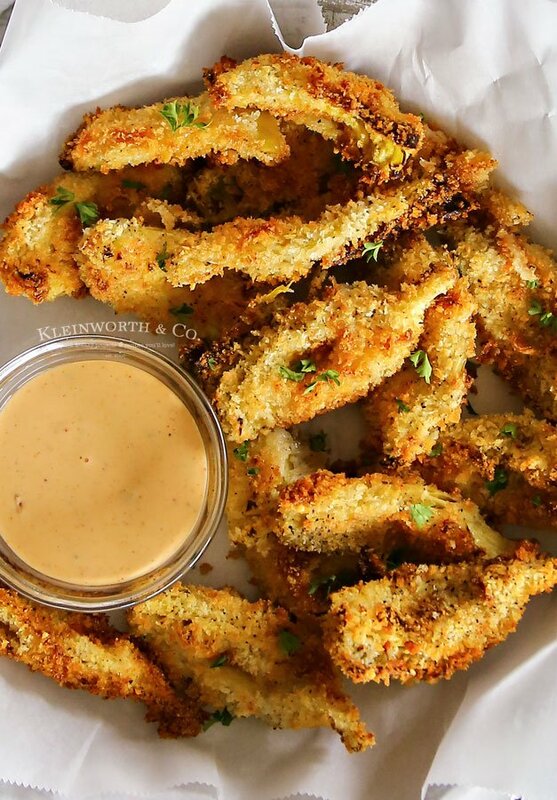 Place coated artichokes into the Airfryer & cook for 10-15 minutes on the highest temperature. Remove & repeat with any remaining artichokes. 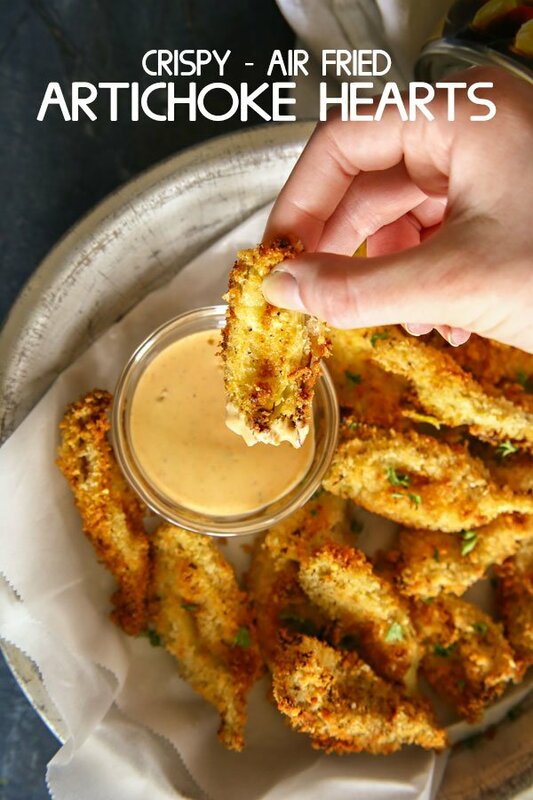 Serve immediately with dipping sauce if desired. 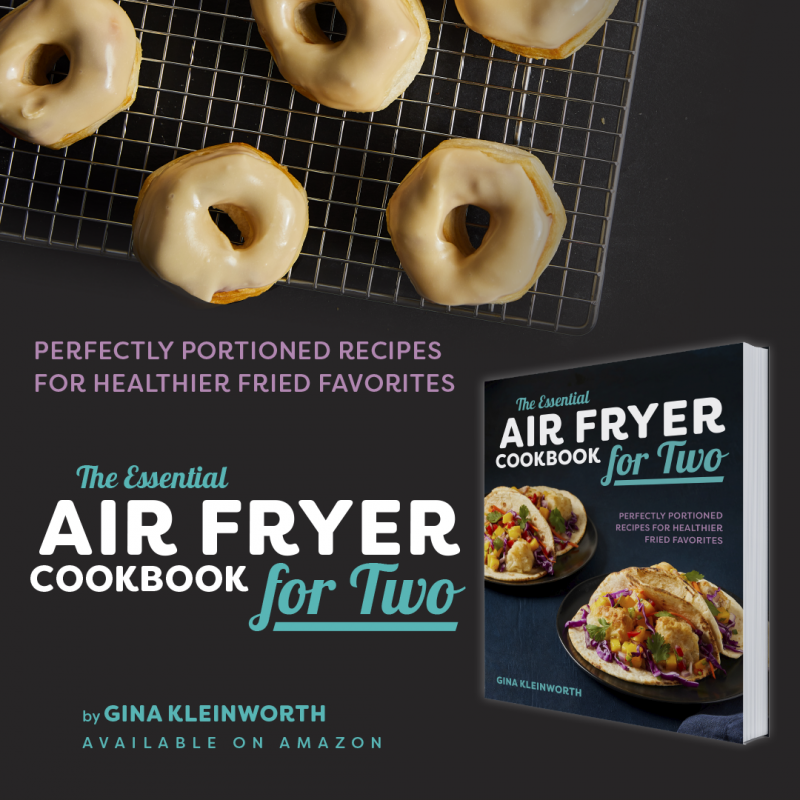 I’ve heard such good things about the air fryer!! These artichoke hearts look like the most incredible appetizer ever! 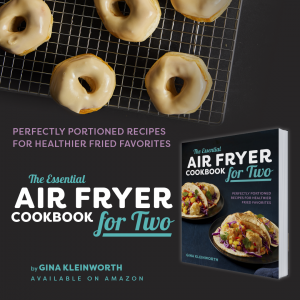 I´ve been meaning to get an air fryer and this recipe is really tempting me to get one right now! !